Step 1: Acknowledge the person and the blog site that invited me to take part. Please visit Beverly's blog and browse her expanding selection of middle grade and young adult books. She's a lovely writer: http://beverlystowemcclure.blogspot.com. While you are there, be sure to read about her writing process, from last week's post. Step 2: Answer four questions about my writing process. I'm currently writing two young adult, romance novella's (the first from the girl's point of view and the second from the guys point of view) that I'm actually considering self-publishing. I'm a total coward, so this is a big deal for me. If you have any words of wisdom, or encouragement, please feel free to share. I'm also writing the third and final book in my Super Villain Academy series. The 2nd book, Polar Opposites, releases in June. Finally, I'm on an agent search right now. I hope to have a well rounded career that spans traditional, 'big six' publishing, small press, and self publishing. I believe an agent is a business partner that can help me realize that complete business model. I strive to tell only the story I would tell, which would make my voice unique. I try to find the logical route of a story, and then tweak it and send it in an unexpected direction. I want my writing to combine both a sense of familiarity of story as well as surprise. The reason I enjoy writing middle grade and young adult is the readers. It is such a formative time in a person's life and there are always so many external pressures, but a book can allow a child or teen to escape from their lives and into someone else's. Books can inspire dreams or solutions. And I LOVE that young readers are so much more interactive in the reading process. Their passion for story takes an author's words and shapes them further into a story unique to them. My favorite part of a story is the creation stage - the first draft. I can get very caught up in discovering the story and be resentful of any real life responsibilities the pull me away from it. After a couple passes of revision on my own, I read it out loud to my kids. Then I send it to critique partners. After applying those suggestions, I usually try to find its new home. Step 3: Pass the torch. 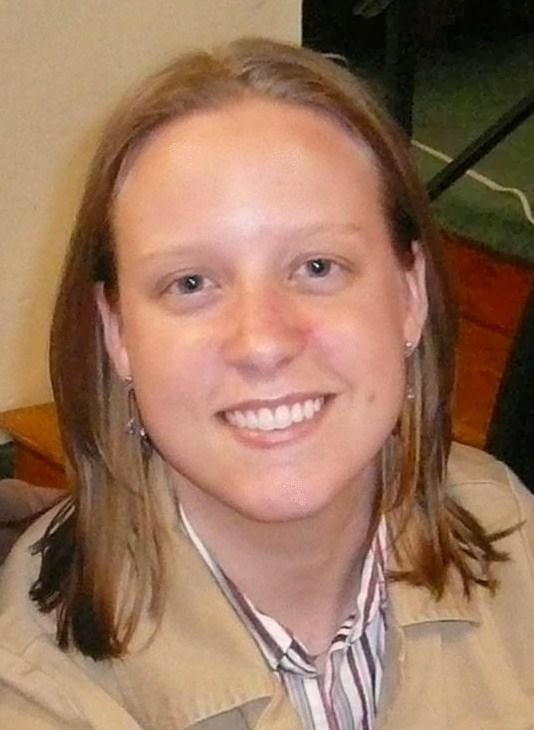 Katie L. Carroll writes and edits stories for teens and kids. She began writing at a very sad time in her life, but since then writing has taken her to many wonderful places, real and imagined. Thanks for reading! Remember to leave any (or your best) advice for me if I choose to self publish! See you next week on Katie's blog. I love that you read your MS to your kids before passing it on to someone else. What a great idea! Best of luck on your agent search (I know you can do it!) and congrats on the upcoming release. I can't wait to read that!!! Thanks, Mary. I still have a few years left with the kids in the house, but I'm already dreading losing my audience! It's great to have their reactions, questions, thoughts on a story. I did the same when I started writing YA--my daughter was my first reader, and she convinced me my writing was okay! Lol! Convinced you. I didn't say I listened to their input. If they say anything negative, I stick my fingers in my ears and start chanting, "La, la, la, la." Fun hearing about your upcoming projects! Good luck with the agent search. I hope we get to work together again in the future. :) And thanks for tagging me...looking forward to sharing next week. Thanks, Katie. I'll take all the luck I can get! I hope we do too! You really understood Terra's journey and helped so much to make it better! Look forward to learning more on your process next week. You are amazing, Kai. All the great stories you write while taking care of a family. You must be very well organized. Best of luck with your agent search, and I'm looking forward to reading the second book in the Super Villain Academy series., as well as your novellas. Self publishing sounds like a challenge, but it's also a good idea. There's not those months of waiting. Good luck there too. Thanks, Beverly. I'm hoping novellas are a good way to break into the self pub world. I even have a field trip this Friday for some research for them.